So, you’ve messed up yet again, haven’t you? You forgot the cardinal rule of transferring SD Cards between Blackberry and smartphones: Back up your photos and audio as I’d pointed out in my article How to transfer Phone Contacts and Data from your Blackberry to your Apple iPhone or Google Android smartphone or Tablet. Believe it or not, you CAN’T just take the SD Card out of your Blackberry and insert it into your brand New DL600, DL700 or whatever smartphone and expect it to just “pick them up”, to use the common parlance of the non-techie. Smartphones are programmed to regard all SD Cards as potentially new media to place fresh data i.e. Photos, Video and Music files. To that end, once you insert a SD Card from anywhere, including your old Blackberry, it’ll format the SD Card to prepare it to receive pictures, Video and Music files when you start using your smartphone. To that end, those Photos, Video and Music files you had on your Blackberry SD Card will get erased as soon as you slip them into your new Android smartphone and boot it up for first usage. So you see, you’ve messed up yet again, haven’t you? Ok, after you’ve removed that anxious look on your face, take a few Deep Breaths and munch on some Devon Chocolate Digestives and sip-sip some hot Roma Cocoa Chocolate. Why? Because it’s DIY Time yet again, dear reader!! It’s simple really! Just follow the instructions from the last time when I had to recover the Data i.e. my Blog Word Documents from my 4GB Kingston Thumb Drive labeled “STARFIRE” when it failed on me back on that fateful day on Monday July 15th 2013. I’d done the righteous thing and chronicled the whole experience blow-by-blow in my article How to recover Data from your Damaged Thumb Drive or ZIP Archive. To be honest, the last time I did a Data Recovery, the Software that I used was called Memory Card Recovery. But this is proprietary software that I’d torrented, something I don’t really encourage….unless it’s an emergency. I suspect accidental erasure of your Photos, Video and Music files when you accidentally placed your Blackberry SD Card into a Google Android smartphone counts as an emergency. However, based on that last experience, I realize that the same list of software I’d used to recover the Data i.e. my Blog Word Documents from my 4GB Kingston Thumb Drive labeled “STARFIRE” can also be used to recover the Data from any SD Card that was accidentally erased as described. 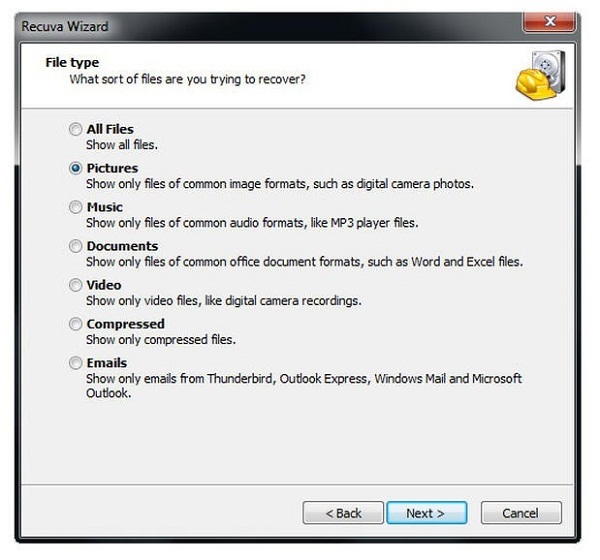 You can use any one of these software, but Recuva File Recovery and Stellar Phoenix Recovery Software are the one I use in the field when recovering files as they’re fairly easy to install and are very comprehensive in their recovery of files. However, the freeware version called Recuva for Windows made by Piriform, makers of CCleaner as described in Kelroy’s article CCleaner – Keep your Computer Optimized and Sparkling is yet other useful System Tools will work just as well. Just download and install the software to begin the procedure. 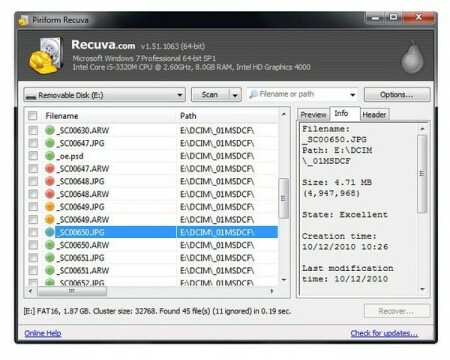 For my example, I’ll be using Recuva File Recovery. Install and then select the type of files you wanna recover. Despite what the graphic shows below, I recommend that you select all; best, as you can pick and choose what you wanna keep and what you wanna discard. Once the scan begins, you can start munching on that value pack of Devon Chocolate Digestives and sip-sipping on that large mug of hot Roma Cocoa Chocolate, as this’ll take awhile. The Bigger your SD Card, say around 32 GB, expect to wait as long as 2 hours before the software begins to return results similar to those shown below. That’s it! Once it’s completed the recovery, you can choose where you save your files. Then you can continue on with the procedure as described in How to transfer Phone Contacts and Data from your Blackberry to your Apple iPhone or Google Android smartphone or Tablet. Only this time, you’d just transfer the recovered Photos, Video and Music files via your Android smartphone’s Data Cable back to the SD Card…..after you’ve placed it into the SD Card Slot. Unless you’ve messed up yet again, haven’t you? GroundHog Day isn’t going to end for you, as you’ll need to get more Devon Chocolate Digestives and an even bigger mug of hot Roma Cocoa Chocolate….and restart the day, Edge of Tomorrow Style.